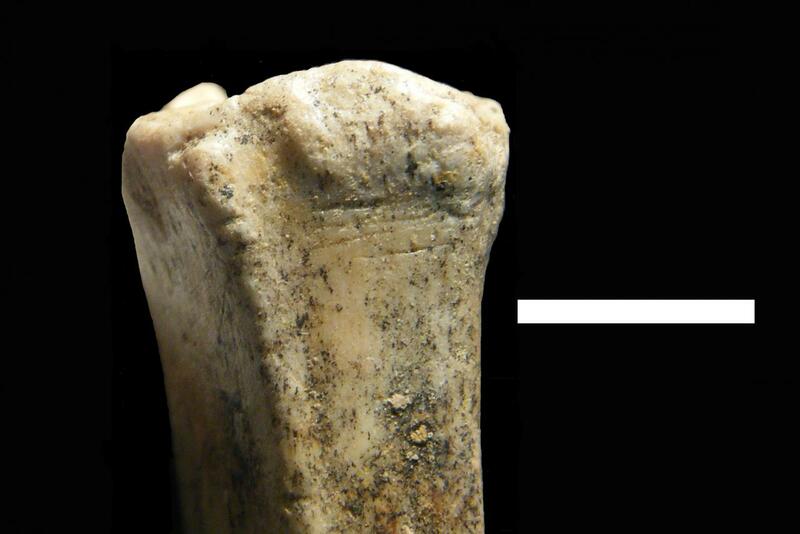 A small antelope leg bone with cut marks, indicative of early human butchery practices. 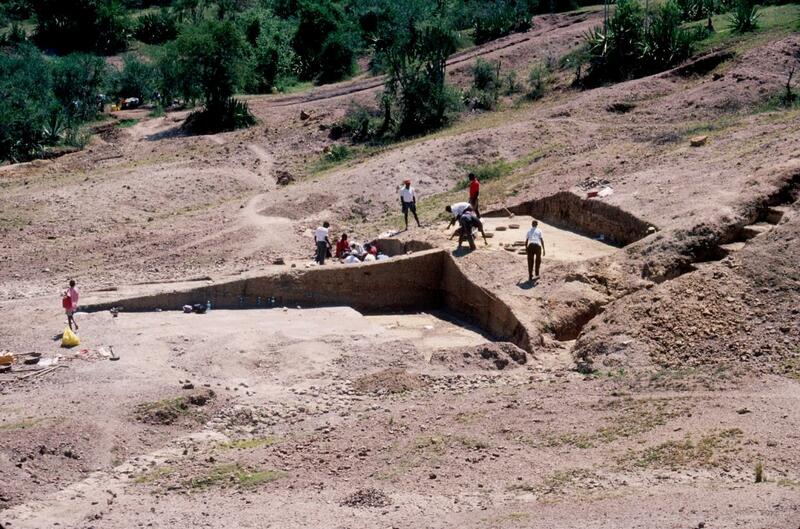 A recent study led by Joseph Ferraro, Ph.D., assistant professor of anthropology at Baylor, offers new insight in this debate with a wealth of archaeological evidence from the two million-year-old site of Kanjera South (KJS), Kenya. The study's findings were recently published in PLOS One, http://www.plosone.org/article/info%3Adoi%2F10.1371%2Fjournal.pone.0062174. "Considered in total, this study provides important early archaeological evidence for meat eating, hunting and scavenging behaviors -cornerstone adaptations that likely facilitated brain expansion in human evolution, movement of hominins out of Africa and into Eurasia, as well as important shifts in our social behavior, anatomy and physiology," Ferraro said. Located on the shores of Lake Victoria, KJS contains "three large, well-preserved, stratified" layers of animal remains. The research team worked at the site for more than a decade, recovering thousands of animal bones and rudimentary stone tools. "Our study helps inform the 'hunting vs. scavenging' debate in Paleolithic archaeology. The record at KJS shows that it isn't a case of either/or for Oldowan hominins two million years ago. Rather hominins at KJS were clearly doing both," Ferraro said. In addition, modern studies in the Serengeti--an environment similar to KJS two million years ago--have also shown that predators completely devour antelopes of this size within minutes of their deaths. As a result, hominins could only have acquired these valuable remains on the savanna through active hunting. "Tool-wielding hominins at KJS, on the other hand, could access this tissue and likely did so by scavenging these heads after the initial non-human hunters had consumed the rest of the carcass," Ferraro said. "KJS hominins not only scavenged these head remains, they also transported them some distance to the archaeological site before breaking them open and consuming the brains. This is important because it provides the earliest archaeological evidence of this type of resource transport behavior in the human lineage." The research was supported by funding from the National Science Foundation, Leakey Foundation, Wenner-Gren Foundation, National Geographic Society, The Leverhulme Trust, University of California, Baylor University and the City University of New York. Additional logistical support was provided by the Smithsonian Institution's Human Origins Program and the Peter Buck Fund for Human Origins Research, the British Institute of Eastern Africa and the National Museums of Kenya.